12:00 PM App, Discover Anyone, iOS, social networking, WhoChat? Social media and networking sites are a great way to stay in touch with the world, If you are aware of the power of social media, and the strength of social networking sites, then you must be familiar with some of the most popular social media networks, already popular out there, these days. 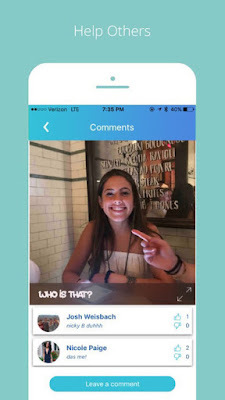 By seeing the growing trend of social media app the app that has got our attention this time is named, WhoChat? - Discover Anyone. What is WhoChat?- Discover Anyone? WhoChat? - Discover Anyone is social media people search app that helps you to recognize the person that you don’t remember by means of using their photos. That person can be a random person living nearby or a singer, politician, actor or dancer or any other. Now if you are curious to know about someone or you need information about them simply upload their picture and you will surely found some useful information about them in the shortest possible time. · Compact design and handy to use. So what else do you need? Grab it today free for your iOS devices FREE from the direct download link present below.